A LITTLE HISTORY: Bayshore Realty was founded by Dan Reddell in 1997. His goal was to provide the Morro Bay community, and potential clients with a desire to relocate to the Central Coast, a real estate office that offered exceptional customer service, staffed with trusted real estate agents that would NOT put a commission ahead of the customer's best interest. Dan Reddell, will always be remembered for his zest for life, generous service to the Morro Bay community, and establishing the well respected Bayshore Realty, real estate agency. Sadly, on June 3, 2014 Dan Reddell lost his battle with amyotrophic lateral sclerosis (ALS). Read more here. The real estate company Mr. Reddell created, lived on with the integrity and professionalism he created. In April of 2017, San Luis Obispo Realty joined with Bayshore Realty to become one powerhouse real estate company that serves all of San Luis Obispo County with offices in downtown San Luis Obispo, and now able to extend even more services with this special Morro Bay office, and surrounding territory focus. See Bayshore Blog. Most of the agents and brokers that work in the Bayshore office have lived in many of the local communities at one time or another, and are experts on the Central Coast and Morro Bay real estate market. Monica King, that has taken over the Bayshore Realty broker of record and assumed the role of office team leader, along with the expert Bayshore Realty agents and brokers, know the market, know real estate, and know how to please their Morro Bay customers. Bayshore Realty focuses on all Morro Bay real estate, specialty properties like the Morro Bay subdivisions, the Cloisters, and Morro Heights, of course scenic listings like Morro Bay ocean view properties, as well as representing the surrounding territories of Cayucos, Cambria, and Los Osos. San Luis Obispo Realty (20 miles south of Morro Bay) continues to serve San Luis Obispo County - the communities of Arroyo Grande, Atascadero, Avila Beach, Grover Beach, Nipomo, Oceano, Paso Robles, Pismo Beach, San Luis Obispo, Santa Margarita, Santa Maria, and Templeton. With both these exceptionally qualified San Luis Obispo County real estate offices, our company provides service beyond compare to the Central Coast of California. If you have any questions about real estate or life on the Central Coast or how to become involved in our Communities, just fill out the form below. What areas are you interested in (check as many boxes as you need). 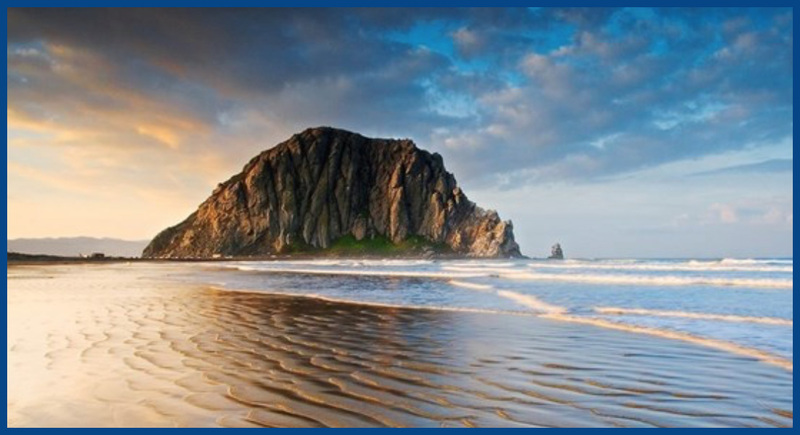 Do you prefer a Bayshore/Morro Bay agent?